The Sklar Otoscope employs a Rheostat for varied light intensity. 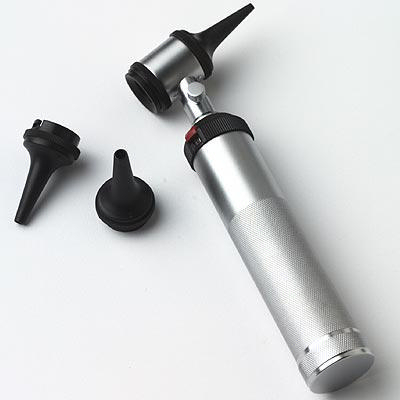 This Otoscope has three specula (sizes 2.5 mm, 3.5 mm, 4.5 mm). Ordering information: Batteries required, need to be ordered separatly.